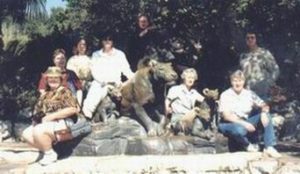 Once upon a time, a number of years ago, I took my group of animal communication students to the San Antonio Zoo. Their instructions were to wander around and find animal teachers to practice communicating with for about an hour. Then we were all to meet at the elephant enclosure because there was a very special elephant there named Ginny I wanted to introduce them to. They had learned how to best connect and open the conversation. Some of the students, being highly sensitive and empathic like myself, were worried. What if the animal’s story was heartbreaking? What if they were in pain, or angry or grieving or sad…? What if their misery was more than they could bear? I understood their concerns. I’ve felt them myself and have often had students tell me they were afraid to work with rescued, abused or sick, transitioning animals… for the same reasons. Whatever is happening or has already happened for the animal is part of their story. What they need is the ability to communicate and be heard so they can heal and let it go. It’s not your job to take on their stuff when you open a channel to communicate. Your job is to give them a way to be understood, to feel compassionate, loving attention, to create a heart centered space for listening and caring, and THAT is such a precious gift. Many times healing occurs, positive changes occur that were unexpected, and right before your eyes (if you do it right), you can see them become more fully present, they heal, they grow, they breathe a big sigh of relief, and they let the past go. It’s a miracle to witness, and heartwarming beyond belief. So, kleenex in their pockets, hearts open and available, with loving and clear intention set, off they went! When we met back at the elephant enclosure later, they were delighted with their experiences. Some animals ignored them, they were too lost in their own world and weren’t interested in talking to a human. 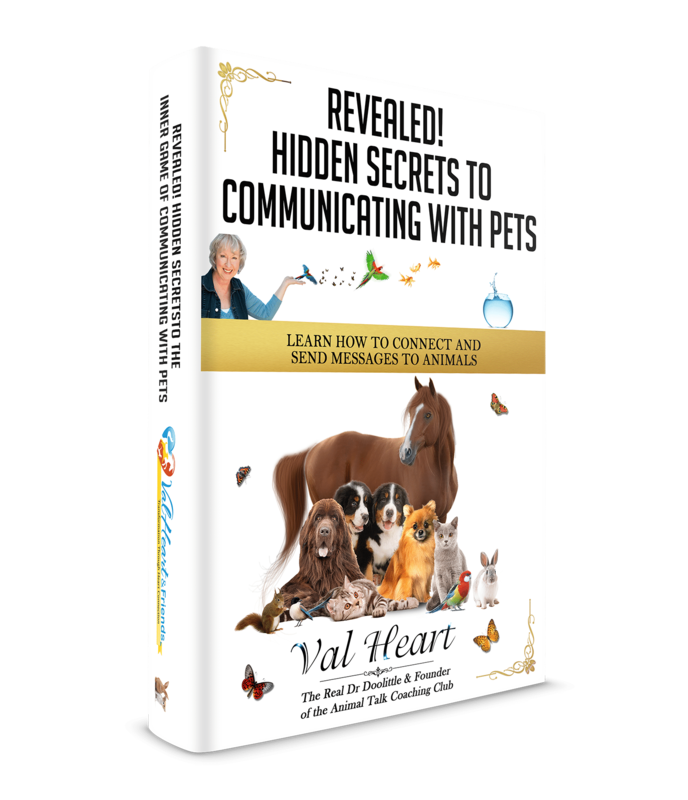 Other animals were so appreciative of having been heard, they were excited and delighted. They said things like, “What, did you say something? A human can hear me? 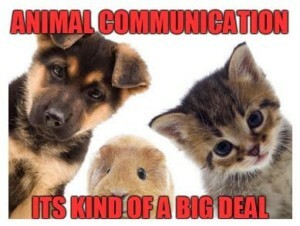 That can’t be right… I thought humans were too dense to communicate. Wait, really, are you talking to ME? OMG! Let me go tell my buddies!” And other animals would come running up eager to witness the miracle of a human who could hear them and talk their language. So much fun!! And the stories they told? Oh my. But today I have another story to tell you. A few weeks earlier I’d been called by a zoo docent to come help them with one of their elephants. 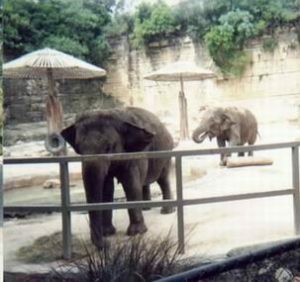 Ginny, the 50 year old matriarch of the small elephant herd at the zoo, had killed their head handler. Nobody else had been there when it happened, so there were no witnesses. Only the evidence of carnage left behind. When I arrived, they had her in chains, in a metal cage barely big enough for her body. She stood there dejectedly but proud, quiet and withdrawn. Resigned and waiting for her fate to be determined. The handlers and management hadn’t decided if they would have to kill her or not. Why had she gone rogue? Would she hurt anyone else? What happened for her to have killed that man? Before they decided what to do with her, they wanted me to talk to her and find out exactly what happened. So I walked in to find all the humans sitting in a circle waiting for me. I greeted them, sat down and took my place. I had just a moment to greet Ginny, whom I’d never met before, and offer her my assurance that my intention was to be her voice, and that I truly cared what happened to her. They didn’t give me any more information than you know right now, so I closed my eyes and tuned into Ginny, asking her to tell me what happened. She told me that the man was often abusive to her and her family herd. That he’d not been there for very long, but was unloved and unliked. That he often showed up reeking of alcohol and acting badly, strangely, unpredictably. That fateful day she decided she’d had enough. He’d hurt and terrorized them long enough. It was her job as matriarch to protect her family, and so she made the hard decision and acted. She simply and calmly reached out to him, grabbed him around his waist, picked him up and held him high, turned him upside down, and smashed his head onto the ground hard enough to crack his skull open. She took a big breath, and I thanked her for telling me. I relayed her story to the people present. They had tears in their eyes as they listened, and then they looked at each other. They told me that yes, he was abusive and yes, he was often drunk. Nobody liked him. Nobody mourned him. They asked me what Ginny’s intentions were towards the rest of them… would she hurt them if they let her go? With a few more assurances from her that they were in fact safe, they eagerly released her chains, opened the cage and let her go free. We all had tears in our eyes as she reached out to thank those nearest to her with a soft touch of her trunk. The look in her eyes…. well, I tear up just to remember it honestly. And so she continued on as the matriarch of the herd. She never hurt anyone else. That brings me back to that one fine Spring day at the zoo with my students just a few weeks later. We all gathered way at the far end of the enclosure on a bench in the shade. We chattered away talking about our experiences, and while we were talking I spotted Ginny at the opposite end of the enclosure. She had been eating by herself way back away from the crowds. But all of a sudden she quieted, held her head up and looked in our direction with her ears up. She then reached out and gathered a large pile of hay in her trunk and carried it across all the way over and stopped right in front of us! As she faced us, she dropped the hay and began munching. She greeted us lovingly, welcoming us to her home. She answered many of our questions, and the students were delighted to hear her sweet, kind voice. All of a sudden one of the elephant handlers came running over to us in alarm. So we told her the story, and as soon as she knew who I was, she wanted to shake my hand, hugging me. With tears in her eyes she thanked me effusively for my help in saving Ginny’s life. And that is why I do the work I do. I think that all I’ve ever wanted to do with my life is to make a difference. And that is why I host an Animal Talk Coaching & Mastery Club and offer courses to teach animal lovers how to communicate with animals. The great news is that you don’t have to be physically with me in person like my original small band of animal talk students anymore because it’s too hard for students all over the world to all come together in one place. I made the Club so it’s all online. That way everyone can participate from wherever you are. 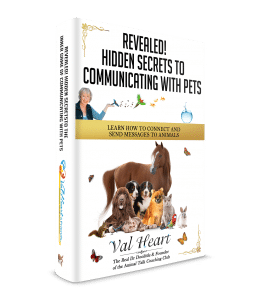 I’ve just opened up a brand new Animal Talk Coaching Club Platinum Masterclass Membership level for serious students who want to master their skills, who want more access to me, and who are ready for in-depth, intimate training so they can make a difference too. It’s still in the beta soft launch phase which means we just have a few more things to do to make it ready for an official launch. The good news for you is, if you join us before September 31st, you’ll get in as a Founding Member at just $77/month. You’ll save $20/mo off the regular membership dues of $97/mo and be grandfathered in at that great savings for as long as you’re a member. You don’t even have to pay anything now — you get in for FREE for two weeks! If you wait until October, the price will go up. Get in now and your rate won’t go up, even when other students are paying $97/month. Please do share with anyone you think might be interested or would appreciate Ginny’s heartwarming story. Hi Val, what a lovely offer. Though I would love to do it, I can’t until my finances improve. But when that happens, I will do all the lovely things on your site. I love your story about Ginny the elephant. They are such wonderful creatures! 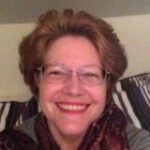 Thanks for your site and all the good help on it. I appreciate what you are doing for the four legged’s and the two legged’s, oh ya birds too. Haha.